Stockbroker associations, the BSE Brokers Forum and the Association of National Exchange Members of India (ANMI) have roped in MP Milind Deora for help in resolving the trading hours issue. On Thursday morning, the brokers had a meeting with Mr Deora, the son of petroleum & natural gas minister Murli Deora. "In the meeting, Milind Deora assured his support to the broking community and other stakeholders and emphasised the need for both the exchanges to consult their brokers and come to a mutually acceptable solution. Mr Deora also assured the brokers that he would do everything to represent their case to the concerned authorities," BSE Brokers Forum said in a release. Reflecting the intense rivalry between the BSE and the NSE, both exchanges, earlier this month, had said that trading would start at 9am from 4th January, nearly one hour before the current opening time, inviting protests from brokers and investors. 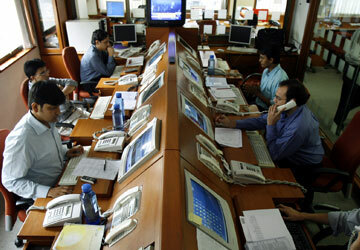 Earlier on Wednesday, stockbrokers asked both the Bombay Stock Exchange (BSE) and the National Stock Exchange (NSE) to maintain the status quo in their trading hours, until adequate infrastructure was in place. In October, market regulator Securities and Exchange Board of India (SEBI) allowed bourses to set their trading hours between 9am and 5pm on condition that appropriate risk management systems and infrastructure are put in place.